The American Legion, Department of Florida would like you to join us for the Annual Children & Youth Golf Tournament! After the tournament, please join us at Post 347 in Lady Lake, for an Italian meal, raffles, 50/50, and more. 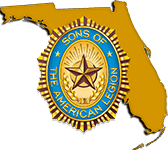 Ask for the American Legion Group Rate!